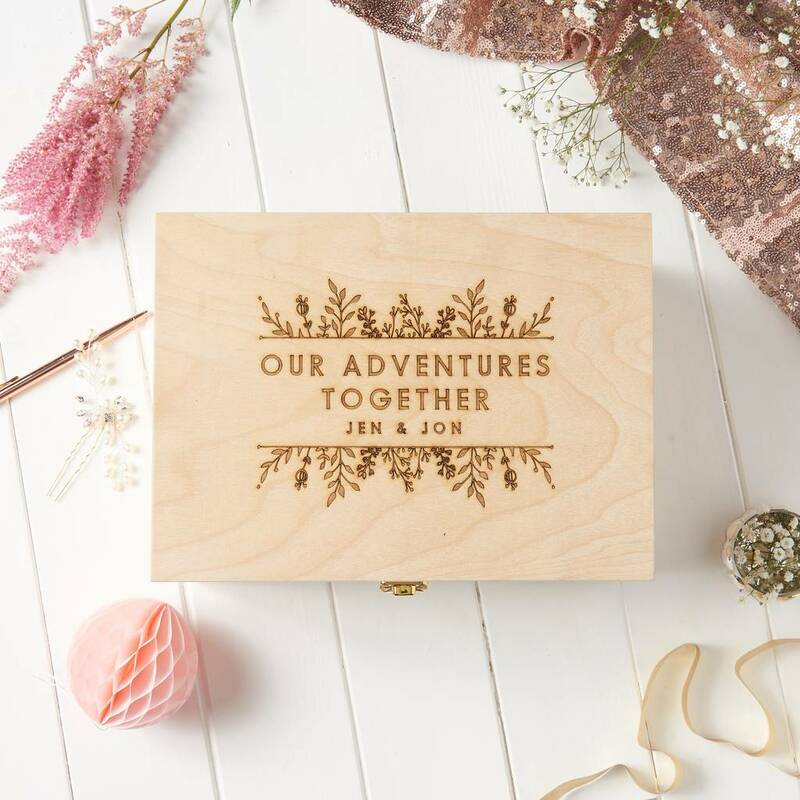 Celebrate those amazing memories you have as a couple with our gorgeous laser engraved wooden keepsake box, featuring our floral design. 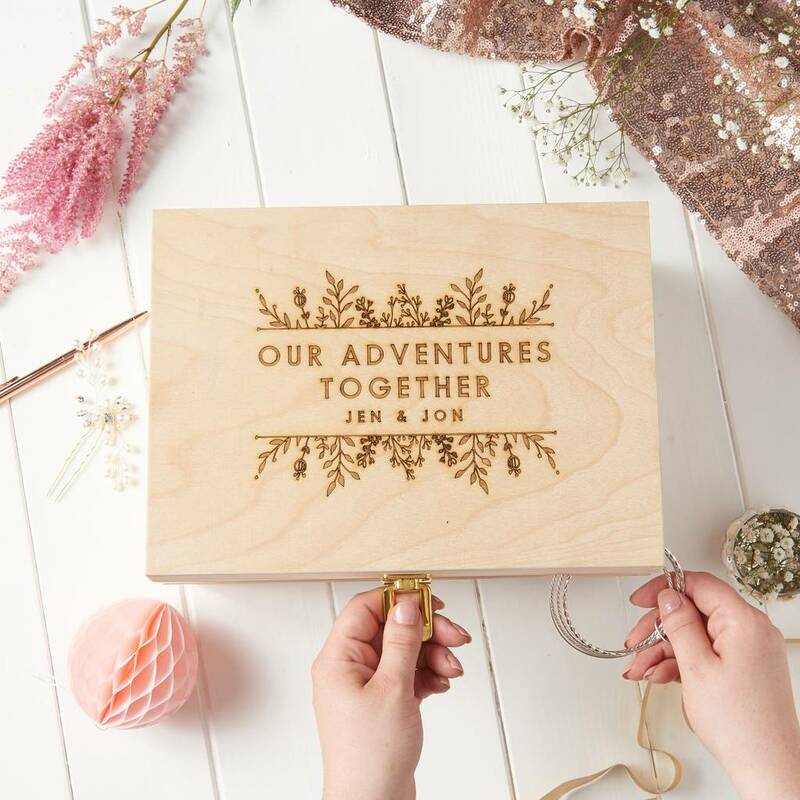 Any jet-setting couple would be delighted to receive this stunning Wooden Keepsake Box as a gift, allowing them to collect mementoes from their travels as a way to remember each special place they visit. 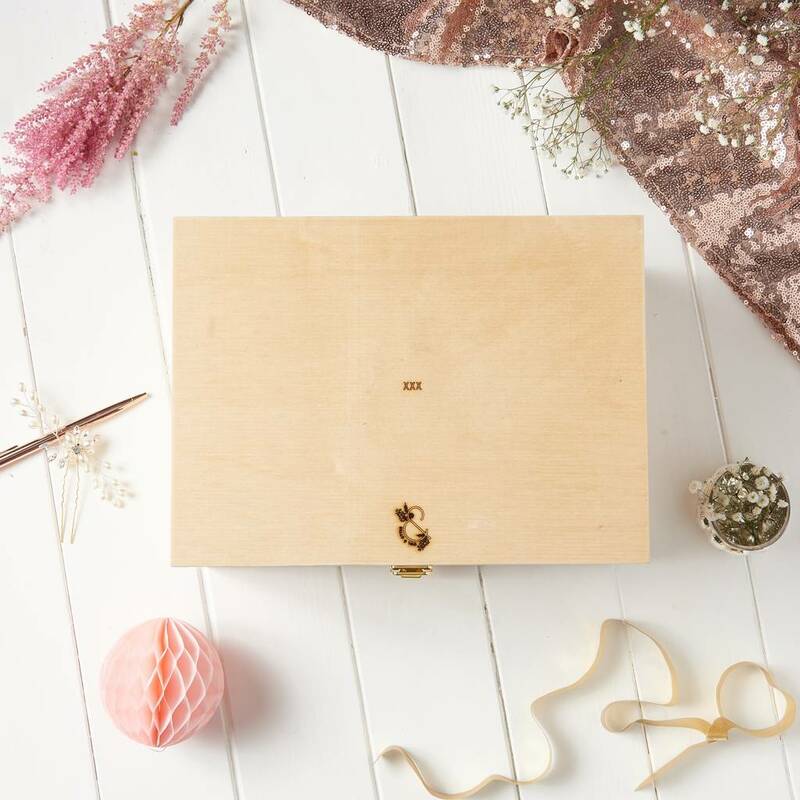 Available personalised with a name and date on the top to make this a unique and thoughtful present that will be treasured. 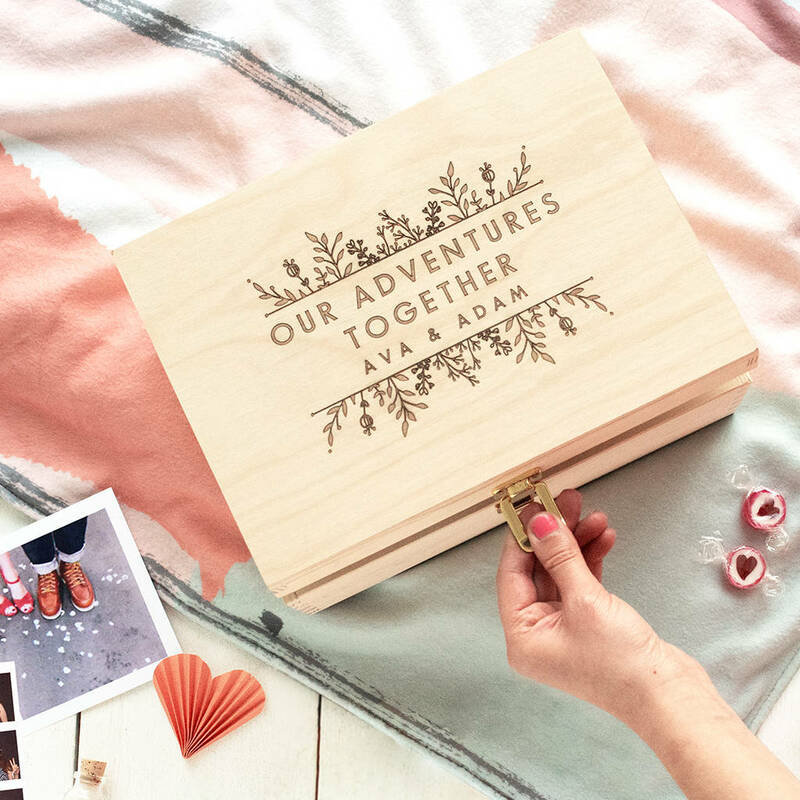 You can also include a message on the bottom of the box to make it extra special.